JISHOU, HUNAN — Rather than be new and creative for its upcoming lunar rover mission, China’s space exploration engineers have copied NASA’s Mars landers, rather like Chinese manufacturers’ notorious habit of selling counterfeit brand-name goods — called shanzhai 山寨. First, let’s see the Mars Exploration Rover and its smaller older brother, Sojourner. 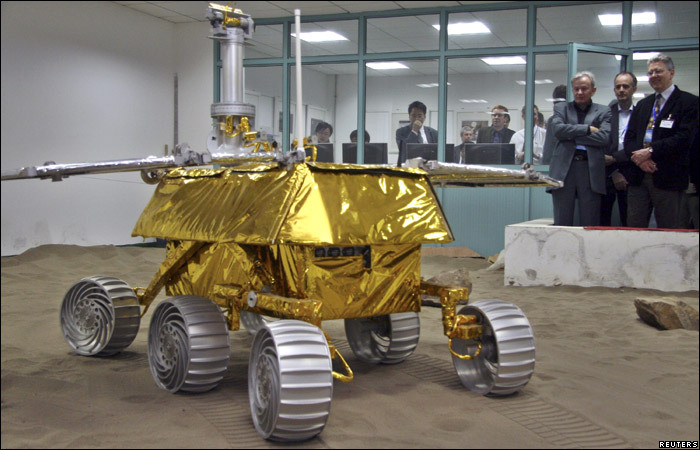 And now the Chinese lunar rover, due to be launched in December. See any similarities? So did China’s scientists, who worked hard to propose new designs for the state space agency. Instead, the agency went with NASA 2.1. It was the first time that the secretive space agency – run by the military – had invited civilian scientists to participate in a major exploration programme. Many top universities set up special teams of their best researchers, who proposed creative rover designs. Wen’s own team, for instance, offered a design with only four wheels but with a greater ability to manoeuvre over rough terrain. Civilian scientists were disappointed when authorities decided on a design they felt drew heavily on the American design. Zhu Jihong, a professor of robotics who entered the competition on behalf of Tsinghua University, said the outcome had dampened Chinese scientists’ enthusiasm for innovation. Chinese space agency representatives said the mission was critical, and needs to succeed, so the agency went with a proven design. Standing on the shoulders of giants, I suppose.